These are some of my past projects and custom commissions. Please feel free to contact me if you are interested in commissioning me to craft any of these items, or to bring your own ideas to life. In the winter of 2016, I took on an ambitious project: to replace all of the furniture in our home that I didn't like. 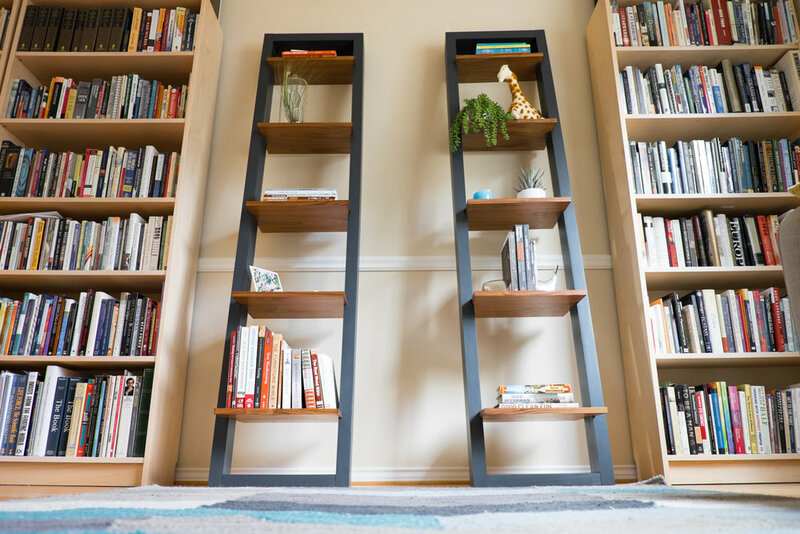 The first project is shown here: modern leaning bookshelves inspired by minimalism and Scandinavian design. 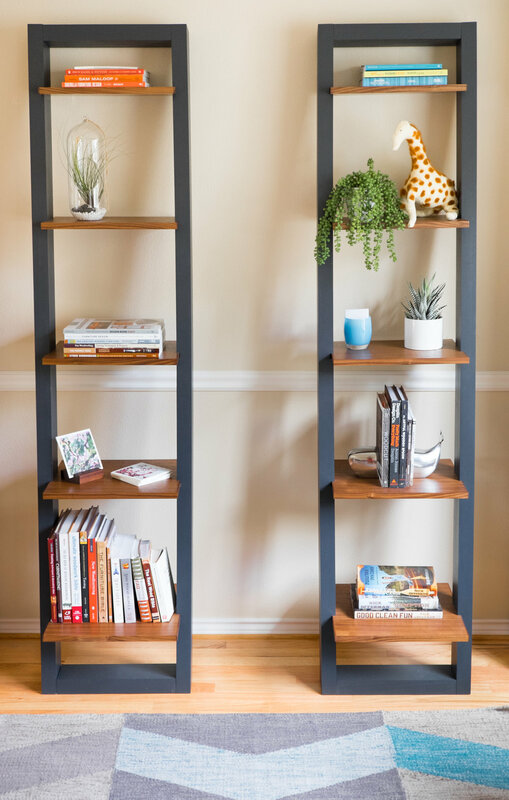 The shelves are constructed from Walnut plywood and banded with solid Walnut. 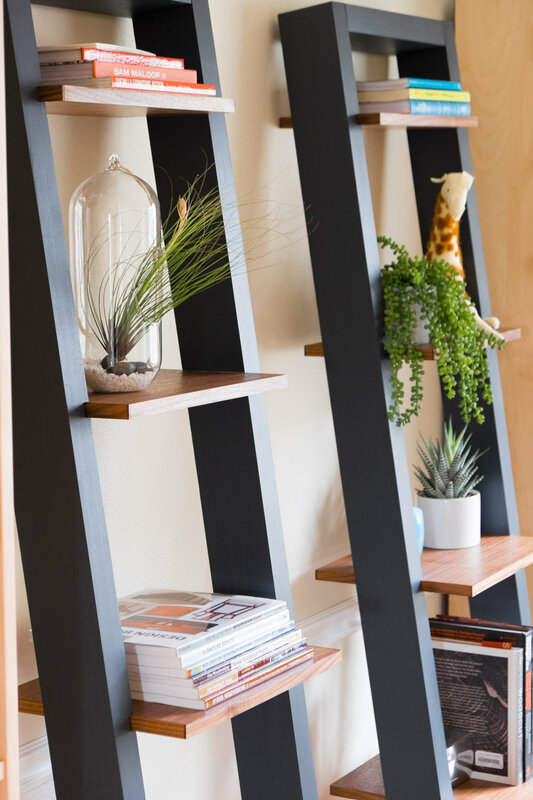 The shelf supports are made from 2" Poplar hardwood. 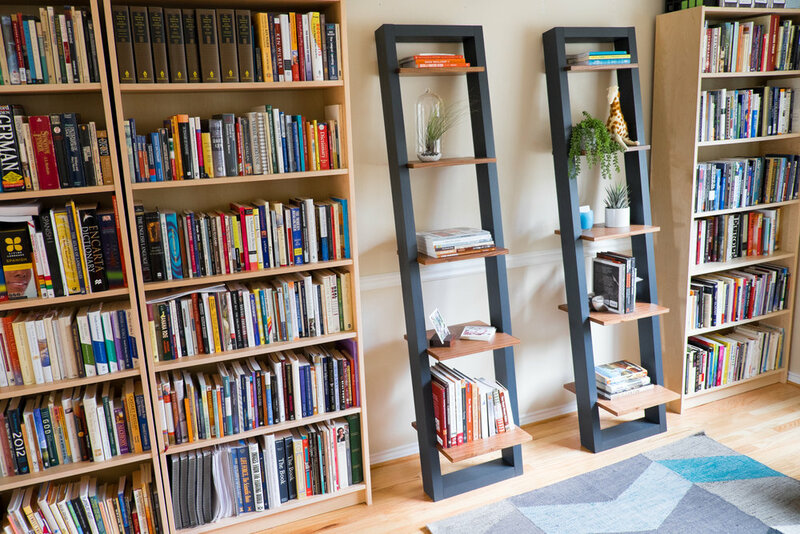 The bookshelves lean at 7º towards the wall. The project took many months to complete, and l an very pleased with how they look in the space.